This past weekend, my husband, Ryan and I packed up our apartment to embark on our next adventure from one Cambridge square to another. Before boxing away our tableware, I assembled some flavor-packed and nutrient-rich breakfast parfaits featuring our favorite, Golden Girl Granola and some local wildflower honey. The layers of delicious berries, banana, granola, Greek yogurt, almonds, chia seeds and a drizzle of honey can be assembled in an individual carton of yogurt (life hack), or fancied in your favorite bowl. The sweet and crunchy breakfast provides long-lasting energy for moving day and is also an easy breakfast for family members of all ages on the go! Top the Greek yogurt with granola, berries, banana, almonds, chia seeds, and a drizzle of honey. Stick in a spoon and enjoy! 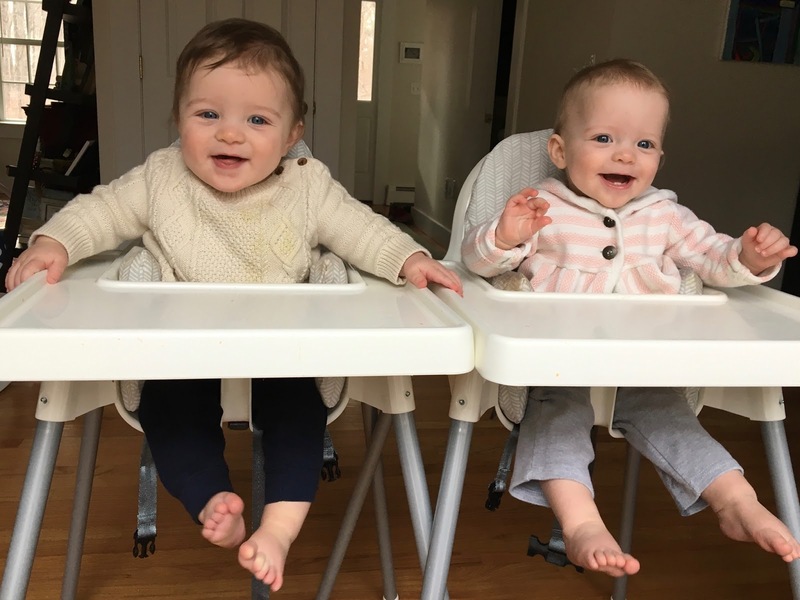 Now that Conor and Zoe are 10 months old, it’s been a blast introducing them to different flavors, textures and tastes. Zo is loving avocado, meatballs and mango; Con is loving pears, chicken and yogurt. They both adore bananas and eggs, so I decided to whip up morning pancakes using these two ingredients. The tiny tokens can be further enhanced with a touch of cinnamon, dollop of peanut butter, or sprinkle of diced fruit on top. In a medium bowl, mash the banana with a fork until it resembles a thick puree-like mix, rid of large lumps. Pour in the eggs and stir until combined. The mixture will be very liquidy. Heat a cast iron or nonstick frying pan over medium heat. Once hot, add a teaspoon of butter or a bit of coconut oil to the pan. With a tablespoon or large spoon, dollop a bit of batter on the edge of the pan, and repeat dropping more batter, leaving a couple of inches in between each mini pancake. Cook the pancakes for about 1 - 2 minutes until the edges appear set. With a thin spatula, carefully flip the pancake onto the other side and cook for 1 - 2 more minutes until the bottoms are slightly browned. Transfer the cooked pancakes to a plate and repeat with the remaining batter. Makes 8 mini pancakes. By making them larger, parents can enjoy these too! 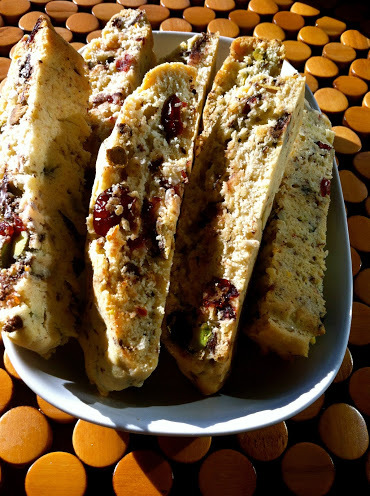 They are easy to freeze, transport to the park, or enjoy right off the griddle. 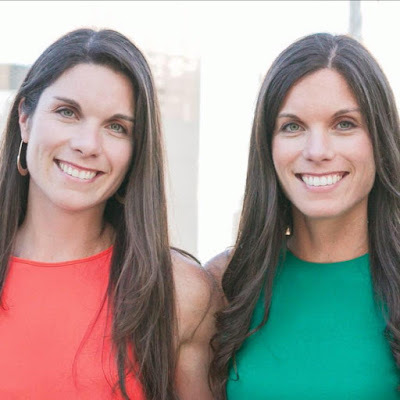 . . Stay tuned for more easy and healthy recipes to fuel these tiny twin tastes with tips and tricks along the way! All of a sudden it’s December and holiday season! Admittedly, Kara and I have been a bit distracted with some engagements and baby news in our family. 'Tis the season to get into high gear and brainstorm ways to celebrate your loved ones...for me in the form of indulgent creations in the kitchen. 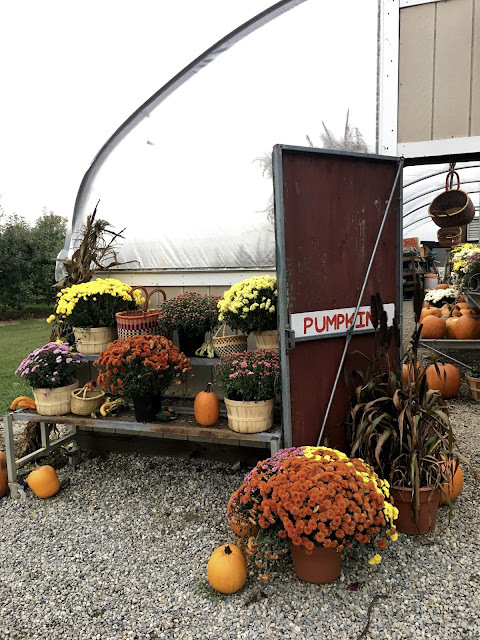 Last weekend, I spent way too long at one of my favorite local farms, Wilson Farm in Lexington. 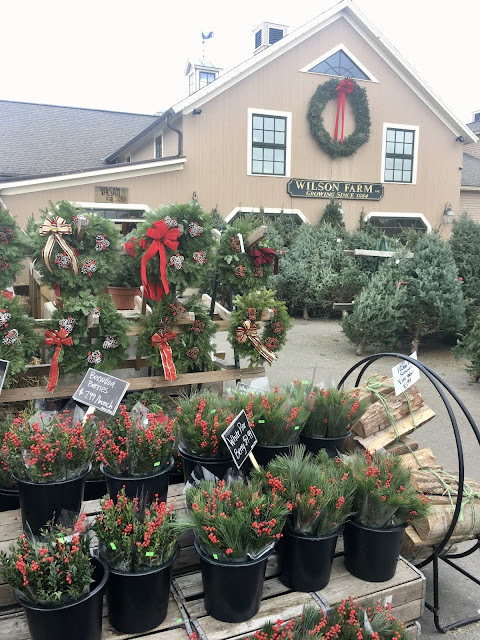 I was instantly attracted to the holiday gift section, most notably the array of gingerbread houses, chocolates, and confections, as well as the fine foods section, overflowing with assorted spices and and locally made goods. With gift-giving in mind, I picked up some sea salt and chili powder, a perfect complement to sweet, decadent chocolate truffles. The classic truffle is a delightfully chocolatey pop and a simple, gourmet gift for family, friends and coworkers around the holidays. For the chocolate lover, the bite is the ultimate concentration of rich and creamy goodness. A sprinkle of spicy sea salt takes truffles up to another level. In a small bowl, combine the sea salt and chili powder and set aside. Pour 8 ounces of the semi-sweet chocolate chips into a heat proof bowl. In a small saucepan, heat the heavy cream and butter on medium heat. When the liquid starts to boil slightly, remove from the heat and pour it over the bowl of chocolate. Let stand for a minute. With a spatula, stir the chocolate mixture until smooth. Stir in the vanilla. Let cool in the refrigerator for at least 1 hour. Remove the ganache mixture from the refrigerator and with a melon baller (or Tablespoon), spoon out balls. With your hands, roll the chocolate into perfect round shapes and place them on a lined baking sheet. 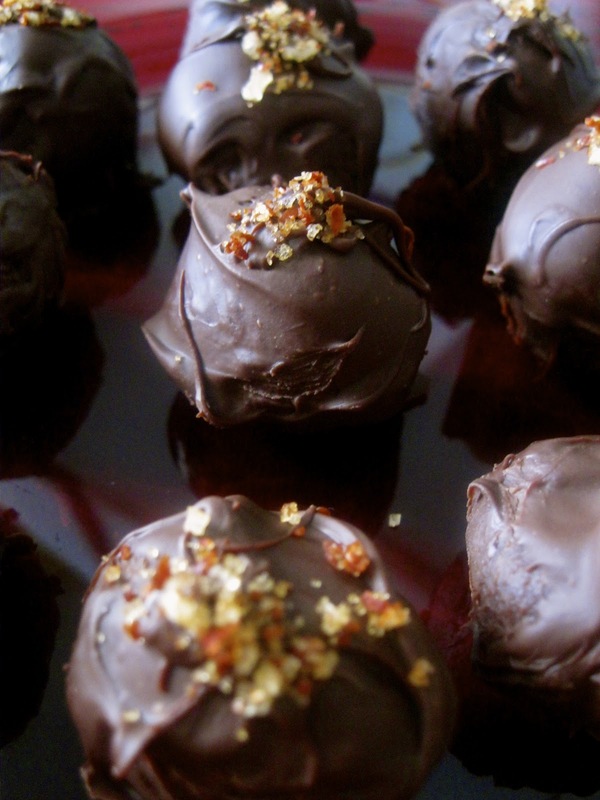 After you have formed all of the ganache into spheres, return them back to the refrigerator. While the truffles chill, microwave the extra 4 ounces of chocolate in 20 second intervals. After 20 seconds, stir the chocolate and place the bowl back into the microwave. Repeat this process three times. Remove the chocolate balls from the refrigerator. With two forks, place the truffles into the melted chocolate. Cover the spheres with the melted chocolate evenly, tapping off the excess with the forks, and place back onto the lined baking sheet. Sprinkle each truffle with a pinch of the reserved chili sea salt blend. Return the truffles back into the refrigerator to completely harden. Makes 20 truffles. If you have leftover chili salt, it adds a wonderful punch to a Margarita glass rim! Surrounded by apple orchards in the Quiet Corner of CT, I love putting fun spins on the abundance of my favorite fruit in the fall. While Honey Crisps are simply incredible as is, and Granny Smith are tasty with a piece of sharp cheddar or touch of peanut butter, I often find myself with a big bushel of apples and not enough time to eat them fresh. Applesauce is a great go-to, but if you’re looking for something a little more decadent and sugary, I recommend trying apple butter. While the preparation is similar to applesauce, apple butter is cooked longer, with less liquid and more sugar for caramelizing. The finished product is a thicker, glossier spread with a more concentrated flavor and darker color. Forget fall-scented candles, get this going in the morning and your house will be wafting with the sweet, enticing aroma all day. 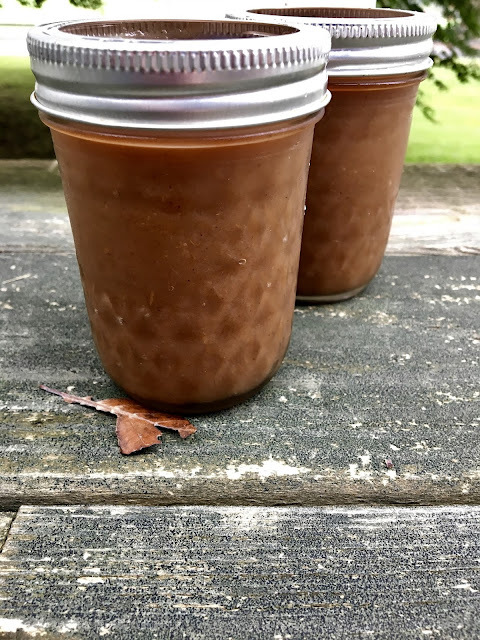 You can make the apple butter by roasting the apples in the oven or slowly cooking them atop the stove, but I found that the slow cooker method created the richest, most concentrated results. After cooling and jarring the apple butter, I enjoyed it the next morning slathered on toast with a smear of rich ricotta and sprinkle of cinnamon. Chop the apples and place them into your slow cooker. Sprinkle the apples with the sugars, cinnamon, nutmeg, clove and salt, and stir until incorporated. Cover the slow cooker and bake on low for 8 hours. At hour 8, add the vanilla extract and lemon juice, stir, and cook for 1 more hour. Next, transfer the apple mixture to a blender (or food processor) and blend until smooth. Enjoy warm right away, or store in mason jars in the refrigerator for up to two weeks. 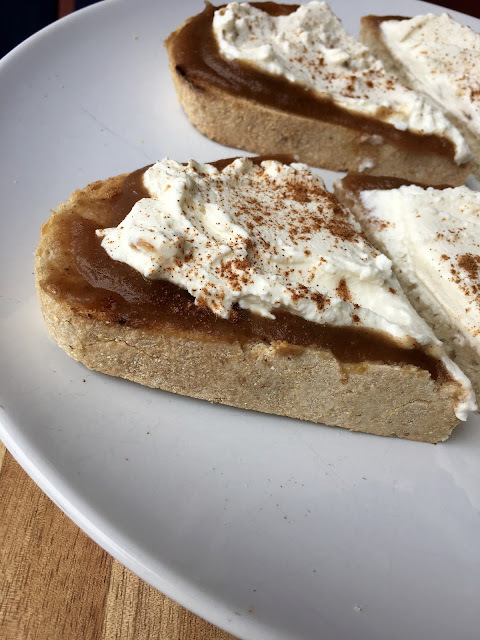 Apple butter is so versatile - warmed and topped over butter pecan ice cream, chilled and drizzled atop pumpkin pancakes, spooned over rosemary roasted pork, slathered on a ham and brie panini - I’ve been adding it to everything!